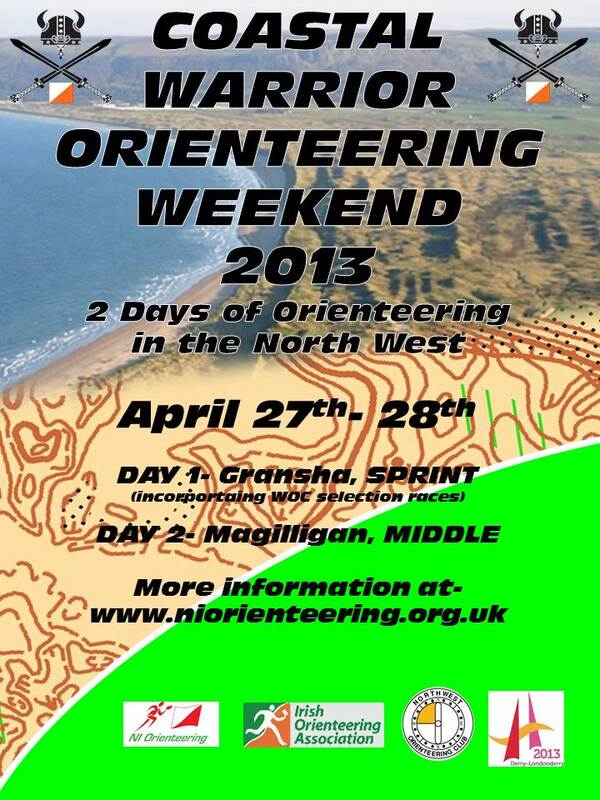 Cork Orienteering Club are delighted to invite you to the 2013 Shamrock O-Ringen, returning again to County Kerry. All maps will contain significant updates for the 2013 event. Crohane will be familiar to anyone who visited Ireland for the World Cup races in 1998. This terrain is arguably the finest that you will find in Ireland. It is open mountain type terrain that offers both a technical and physical challenge. It contains intricate rock and contour detail with numerous marshes to keep the feet wet. Routegadget for the 2009 Shamrock, The Black Lakes and Crohane. The event centre will again be at Killarney Race Course, where social activities will be held over the weekend. This years Shamrock will also form part of The Gathering. Meanwhile, across the water, Irish senior squad members Susan Lambe, Olivia Baxter, Toni O’Donovan and Marcus Pinker are competing in the British Sprint and Middle Distance championships. Juniors Andrea Stefko and Aoife McCavana are also taking part. The Sprint event is being held in Loughborough University and the Middle distance at Stanton Moor. Further details on the event will be added later. Downhill Hostel is located nearby and I hope to book a few beds there for Squad Members, email elite@orienteering.ie for a bed, and indicate whether you are interested in accommodation for Friday night, Saturday night, or both. As it is a selection race the budget will cover some of the costs associated with the weekend, at a minimum those who have submitted WOC intention forms will have their entry fees covered for the Sprint Race. The attached document outlines selection policy for WOC 2013. The IOF have published their proposed method of allocating start slots for the Long & Middle finals at WOC from 2014. They are seeking comments from the Federations. Squad members please email elite@orienteering.ie by March 1st with any comments you may have. I want time to collate any comments before responding to the IOF. The IOF are removing the long distance qualification races from the MTBO World Championships. They are proposing 60 start slots and how those slots are to be allocated is set out in the document. Need them by Wednesday the 9th January. I expect all squad members to complete this educational programme. Once confirmed the selection policy for WOC 2013 will be released, shortly. else needs to be organised can be done in advance. possible a WOC 2015 training camp may also be organised this year.